Let’s face it – busy mornings typically aren’t driven by a health focused mindset. Between preparing for work, getting the family ready and taking care of household tasks left over from the night before, it’s easy to leave the house in a hurry with nothing more than coffee in your stomach. However, neglecting to develop a daily morning routine could actually lead to early aging and poorer overall health over time. 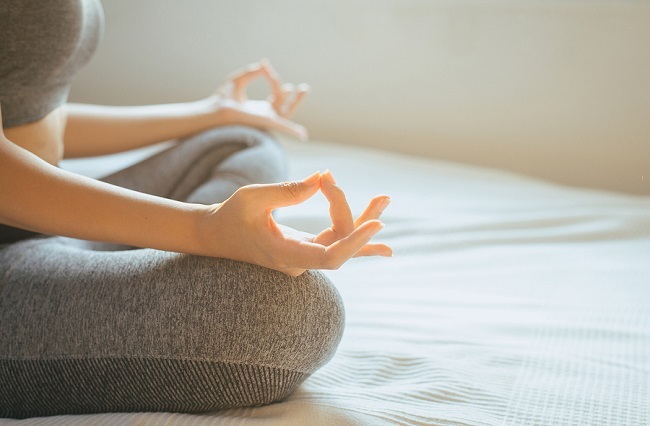 Integrating healthy morning habits into your daily routine (and sticking to them) will keep you feeling refreshed, revitalized and ready to take on the day. If you’re anything like 62% of Americans, your morning can’t officially start without a piping hot cup of coffee. While a jolt of caffeine might provide you with the extra pep in your step needed to get you out the door, your body is actually crying out for another form of liquid fuel – water. The average 6 to 8 hours you spend sleeping is typically the longest stretch of time one goes without drinking during a 24 hour period, so it’s no surprise that you will inevitably wake up dehydrated. Unfortunately for coffee connoisseurs, the diuretic nature of caffeine can actually cause even more dehydration if it is your first drink of the day. Instead, start off your morning with two 8-ounce glasses of water. This will help to replenish the water your body lost while sleeping, flush out any lurking toxins, and rehydrate skin cells for a glowing, youthful complexion. You can add lemon to the water which makes you more alkaline and is detoxifying as well. 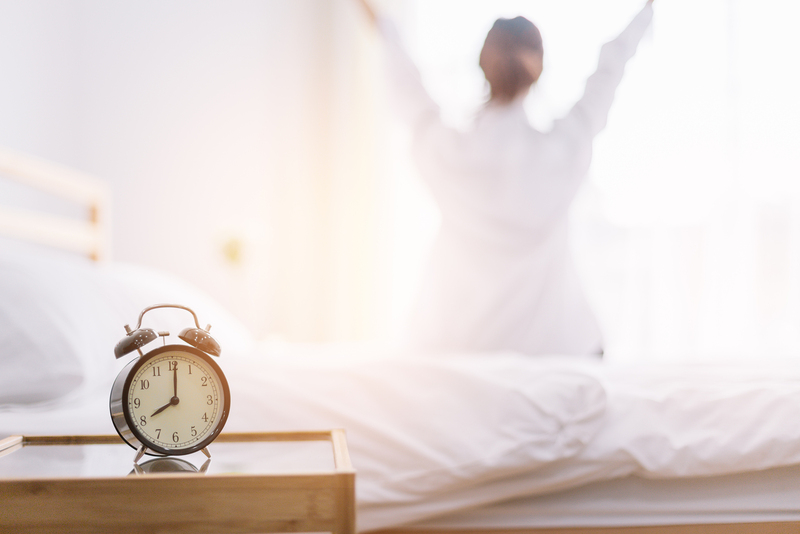 On particularly busy mornings – or mornings where that snooze button looks especially appealing – making breakfast is often one of the first steps to get cut from your daily routine. Even if you aren’t abandoning breakfast completely, you might opt to trade out a full meal for an on-the-go breakfast bar or sugary toaster pastry. The old saying is true: breakfast really is the most important meal of the day for several reasons. Not only does eating a well-balanced, nutritional meal provide you with the energy needed to carry on throughout your morning, it also leads to improved concentration, lower cholesterol and a faster metabolism. Aim for breakfasts containing several of the key vitamins and minerals needed to promote a healthy body, such an omega-3 and fiber rich gluten free oatmeal, protein packed eggs and lycopene loaded watermelon. 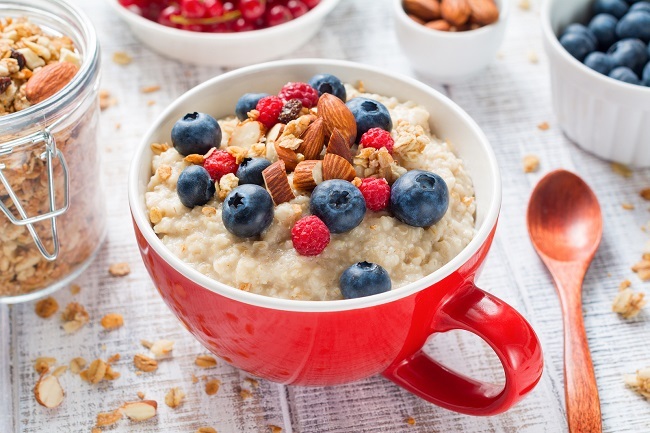 On top of tasting delicious, the healthy morning habits you establish by eating a nutritious breakfast will provide you with a boost of energy, full stomach and trimmer waist. As important as it is to be mindful of what you put in your body, establishing healthy morning habits stems from what you put on your body, as well. Since you are naturally dehydrated upon waking up, be sure to apply a daily moisturizer in order to nourish thirsty skin cells from the outside in. Sun protection is important year round – especially for those concerned with aging – so seek out moisturizers with SPF 40 or higher to combine two steps in your morning routine. For those with extra time in the morning to devote to a thorough anti-aging regimen, look for creams, serums and toners containing collagen for firmer skin or retinol to smooth fine lines and wrinkles. Integrating physical activity into your healthy morning habits could be the difference between starting your day energetic or exhausted. Dedicate 15 to 30 minutes of your morning to exercise, whether it be as rigorous as a run around the neighborhood or as simple as stretching and mindful meditation. This will provide your muscles with a hearty wake up call, and has even been proven to increase productivity and mental clarity for up to 10 hours. Incorporating exercise into your morning routine also promotes a healthy heart by increasing blood flow throughout the body, all while keeping your muscles strong and metabolism high. Are you convinced it’s time to overhaul your morning routine? As with most lifestyle changes, establishing healthy morning habits varies based on each person’s unique needs and concerns. Your best option for creating the ideal morning routine for your age, skin, diet and other health-related variables is to consult with a functional medicine doctor.